This is the official web-site of the Anarchist Confederation of Latin America (ACLA) - a section of the Anarchist International (AI). The Confederation is a loose network of libertarians broadly defined related to Latin America, and is historically mainly rooted back to the 1990s as an informal network of contacts connected to Internet. There are contacts and small groups and organizations/federations in most countries. The IJA/AI network has several hundred subscribers/network-members, groups and individuals, in many countries in Latin America. The ACLA aims at a more firm organization with one large federation in each country all over Latin America later on. Anarchism has a long tradition in Latin America, rooted back to late in the 19th and early 20th century. Anarchism and ACLA are relatively strong in Argentina, see IJA 6 (31), Barbados, Bahamas, Uruguay, Peru, Mexico, Chile, Brazil, Venezuela and Bolivia, less strong in Colombia and are heavy repressed in Cuba, see The Anarchy Debate and External links to the ACLA and AI-network. In the other countries in Latin America the anarchist movements are relatively small. The ACLA-network is one of the fastest growing sections of the Anarchist International (AI), however no country in Latin America is close to Anarchy yet, i.e. with anarchy/libertarian degree equal to or above 50 %. Barbados is the most libertarian country in Latin America, with a libertarian degree of about 39,4 %, ranked as no 33 of countries in the world according to libertarian degree. Bahamas is no 2 in Latin America, with about 38 % libertarian degree, ranked as no 44 of countries in the world. Argentina is no 3 of the most libertarian countries in Latin America, with about 37,8 % libertarian degree, and ranked as no 45 of countries in the world according to libertarian degree. Chile is no 4 in Latin America, with about 37,6 % libertarian degree and ranked as no 46 in the world, and Uruguay is no 5 with about 37,1 % libertarian degree, ranked as no 51 in the world, according to libertarian degree. 100% - the libertarian degree % = the authoritarian degree %. Systems with more than 666 per thousand authoritarian degree (= about 67%), are totalitarian and significantly evil, seen from the people's perspective; the people seen as a class as opposed to the superiors economically and/or political/administrative, i.e. in income and/or rank. Many countries in Latin America have totalitarian and significantly evil economic-political systems, as, say, a) the nazi-light regime in Venezuela, b) the right-fascist system with heavy ochlarchy in Colombia, c) the right fascist regime in Peru, d) Brazil has a totalitarian liberalist-capitalist system, located in the conservative sector in the liberalist quadrant of the economic-political map; and e) the communist system of Cuba, and f) the anarchist movements are relatively repressed in several of these ultra-authoritarian countries. Haiti is the most authoritarian country in Latin America, with only about 20,25 % libertarian degree, i.e. 100 % - 20,25 % = 79,75 % authoritarian degree, ranked as no 182 on the world ranking of countries according to libertarian degree*. Haiti is quite wrongly sometimes called an 'anarchy' in the newsmedia, in reality this society is however very, very far from anarchy, the regime is rivaling polyarchy/oligarchy and ochlarchy/chaos (mob rule broadly defined). It is a Failed State, i.e. an archy/state - not anarchy, see IAT-APT - The chapter on Failed States. Fellows in Latin America! Contact ACLA and join the ACLA-network today! Be a networkmember/subscriber to the IJ@/ACLA/AI/IFA! Feel free to forward this information to your own network, and/or link up the Website of ACLA at your blog or homepage. 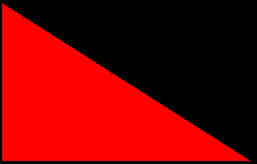 Join in the struggle for and towards anarchy and anarchism, i.e. for socialism and autonomy; against economical plutarchy - that is capitalism; and against statism -- in the Latin American countries and world wide... Of course a struggle without ochlarchy (mob rule broadly defined), the opposite of anarchist, anarchy and anarchism!!! A struggle for anarchy and anarchism as opposed to all forms of marxism (state-socialism), liberalism and fascism, including populism. A struggle for a movement of the societal, i.e. economical and political/administrative, systems -- in libertarian direction, less authoritarian degree... ACLA always works and demonstrates with dignity, uses real matter of fact arguments and adds weight behind via direct actions, mass actions, and via elections. More information is available via "Contact ACLA" below. Anarchism in Latin America and ACLA were on the agenda at the International Anarchist Congress, the 11th Anarchist Biennial 27-28.11.2010, International Congress-Seminar on Anarchism, see (click on:) Biennial 2010. Contact ACLA - Click here! *) Somalia has the lowest rank, no 186, on the ranking of countries in the world according to libertarian degree, with an authoritarian degree of about 80 % and a libertarian degree of about 20 %. The ranking is based on the UN's HDI statistics of 2005 and other sources. There are all in all 193 countries in the UN's HDI statistics of 2005 (with most data from 2003), some without HDI-rank. In the ranking according to libertarian degree (by IIFOR), countries with about the same libertarian degree have the same rank and because several countries share the same number in the ranking, the 193 countries are ranked from 1 - 186 according to libertarian degree. More information about the statistics and estimation method, see (click on:) System theory and economic-political map - Chapter V.B. Somalia is also often wrongly called 'anarchy' in the newsmedia, but in reality this regime is an ochlarchy (including chaos) with rivaling polyarchy/oligarchy, and very, very, far from anarchy.